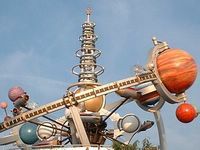 Retro-futurism and space exploration on Charles G's Blog Space: A second chance for the Hubble? A second chance for the Hubble? MSNBC's Cosmic Log is reporting there maybe a second chance for a Hubble rescue. A 2000 year old computer?